Experience 19th century military life…right up close and personal. 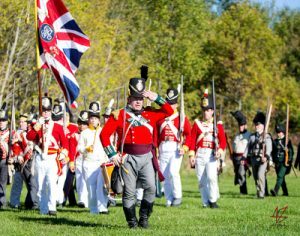 The Glengarry Light Infantry and other Living History reenacting groups such as the 1812 Civilians and Native Allies are setting up camp at the Museum. Let your children don uniforms and take part in muster rolls. 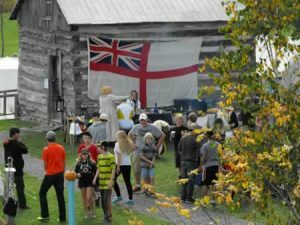 Learn how they lived, watch musket demos, and step back in time! Different activities will be scheduled for each day. Food and refreshments will be on site. Battles – 3:00 pm Sat. & 2:00 pm Sun.